The top picture is based on an early 20th century map. 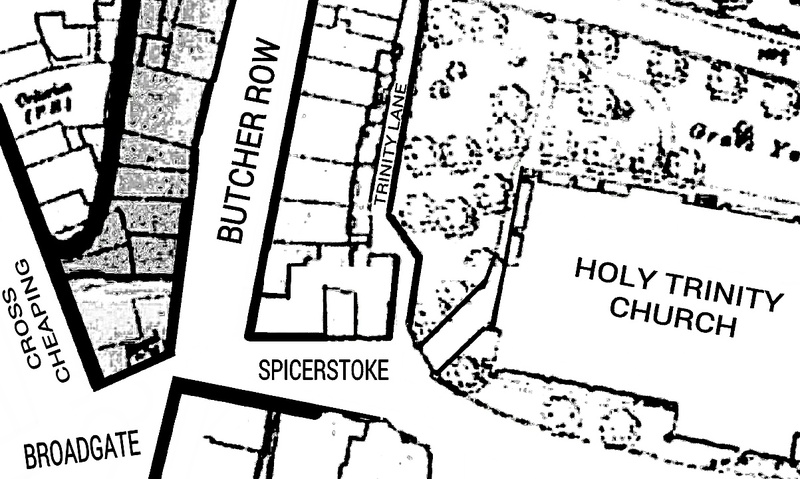 The lower picture shows the small area on the other side of the top of Butcher Row, known as Spicerstoke. At the centre, next to the lined wall is the end of Trinity Lane, the pedestrian alley at the rear of Butcher Row. The path into the church can be seen through the fence railings. 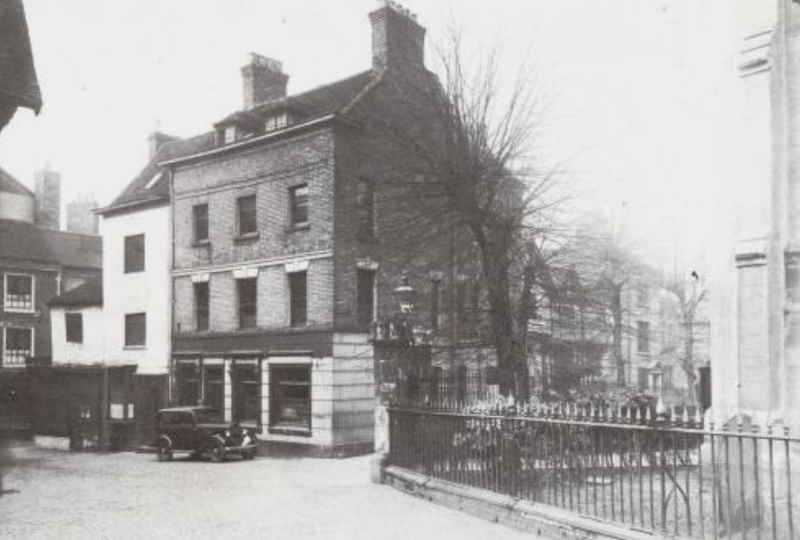 If you walked along next to the edge of the white building to its left side and looked slightly to the left you would see the opening to Broadgate across the street, going to the right you would be at the very top of Butcher Row, the partially visible building at the left edge of the picture is the rear of the Royal Vaults pub.